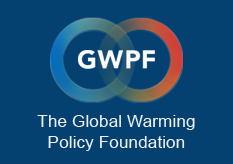 “So far in the 21st century, the GCMs are warming, on average, about a factor of 2 faster than the observed temperature increase,” Dr. Judith Curry, a former Georgia Tech climate scientist who now runs her own climate forecasting company, wrote in a report for the U.K.-based Global Warming Policy Foundation. Curry has been one of the foremost critics of climate models, arguing that while they can be useful, there are too many uncertainties and issues to rely on models for public policy decisions. Curry’s report gives a detailed rundown of why models can be useful for modeling complex climate systems, but also points out that GCMs fail to capture natural variability in the climate. “The reason for the discrepancy between observations and model simulations in the early 21st century appears to be caused by a combination of inadequate simulations of natural internal variability and oversensitivity of the models to increasing carbon dioxide,” wrote Curry. Climate models assume carbon dioxide is the control knob for average global temperature and fail to take into account “the patterns and timing of multidecadal ocean oscillations” and “future solar variations and solar indirect effects on climate,” Curry explains. Models also “neglect of the possibility of volcanic eruptions that are more active than the relatively quiet 20th century” and suffer from an “apparent over-sensitivity to increases in greenhouse gases,” Curry continues. Global warming skeptics have been pointing out problems with climate models for years, but only recently have scientists taken a hard look at modeling’s actual predictive powers.